The LMMFund52 fundraising campaign has been in full swing for over a week now and we are getting a great response so far. We currently have 7 / 52 donations! That means we only need 45 more donations (in any amount) to reach our goal. We’d like to thank everyone for helping us spread the word and donating to our cause. Your donations make a difference in the lives of students who have lost a parent to substance abuse. 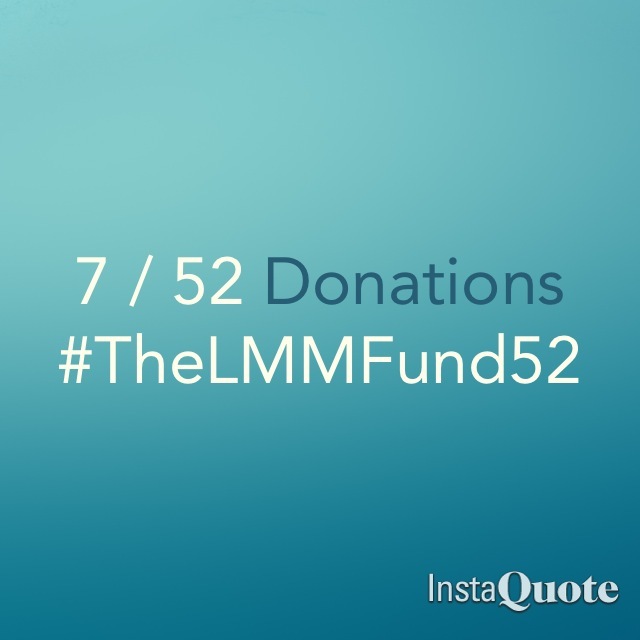 You can continue helping us by sharing this with your family and friends on social media using #TheLMMFund52 and encouraging those you know to donate too.